Los países …han negado sistemáticamente la evidencia…. Parecía que así desaparecería el peligro, como el avestruz cuando atisba riesgo y esconde su cabeza bajo el ala…. Blanca Hernández esta perpetuando la propaganda y las mentiras del gobierno espanola sobre el lacre de las victimas de la violencia de genero y el fallo del sistema de protegerlas. “We cannot help them if they do not file a complaint” said Ana Mato, Minister of Health, Social Services, and Equality in her press conference on June 25, 2012. These words show to what extent Spanish authorities are turning a blind eye to the failure of the Spanish government to effectively protect victims of domestic abuse and violence within their borders. One of these women, Eva Alonso, a 43 year old Spaniard, whose official complaints for domestic violence ended in prosecution against her for having damaged the honor of her aggressor. Her testimony is posted in a video on Amnesty International’s website, www.es.amnesty.org/paises/espana/violencia-de-genero, as well as their report What Specialized Justice? The problem in protecting victims, and ending gender violence, is not from the lack of women willing to denounce the abuse and their abusers, as the Spanish government contends. 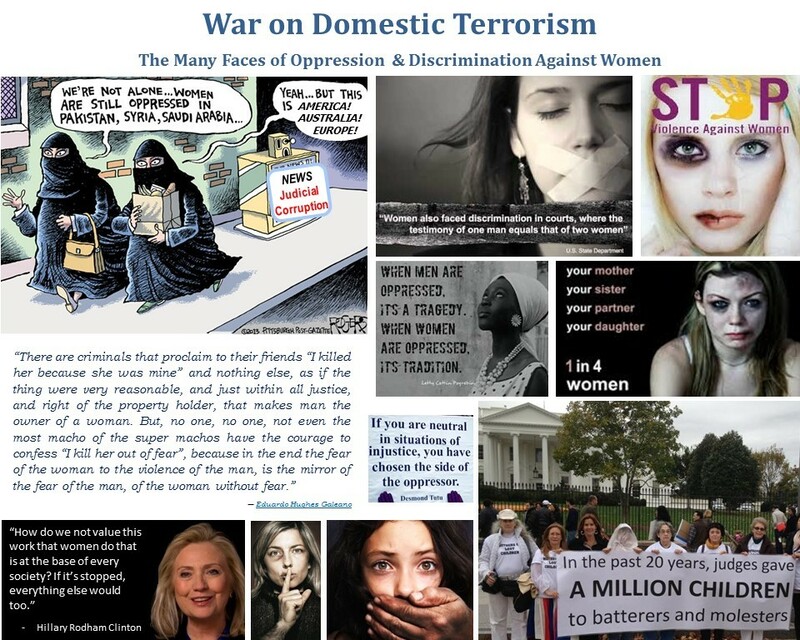 The problem comes from the traditions and prejudices that for centuries have covered-up domestic violence, and that re-victimizes and silence women that seek assistance and support in judicial systems. These lines reflect the attitude of officials and civil servants that are responsible for investigating and sanctioning the malpractice and negligence of judicial actors who contend that it is THE RIGHT of judicial actors to violate the rights of citizens with total impunity. And, that victims of gender violence and women during divorce procedures, DO NOT ENJOY constitutional rights and other rights provided for under international treaties. In order that the rights of victims of gender violence are respected before tribunals, IT IS IMPERATIVE that human rights associations investigate the failure of governments to assure transparency and integrity in their tribunals. Until governments and their regulatory agencies are held responsible for their failure to investigate complaints and sanction judicial actors, the situation will never change. In the past 6 years, I have meticulously documented the lack of due diligence of my lawyers, the violations of my rights, and the discrimination of actors and judicial decisions, the damage produced in my case and the repeated refusal of authorities to investigate my complaints as provided for under national and international law. I hope that your organization will investigate the violation of rights of victims of domestic abuse by tribunals in Europe, North America, and Australia, and support me in my present demands of the Spanish and American government in relation to my own case. As long as democratic countries are miserably failing to fulfill their legal obligations, the lack of protection of victims in these countries will always be the same as in non-democratic countries. Rights that are not defended by the courts, are nothing more than empty rhetoric. It is time that governments transform decades of promises into reality, rather than hiding behind more false promises.